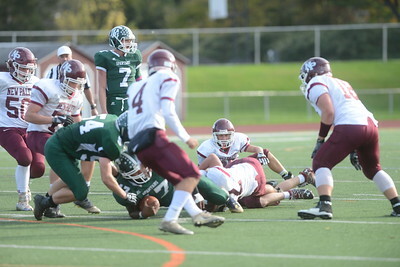 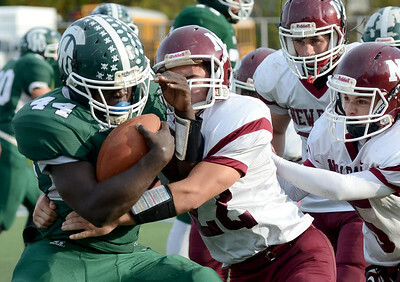 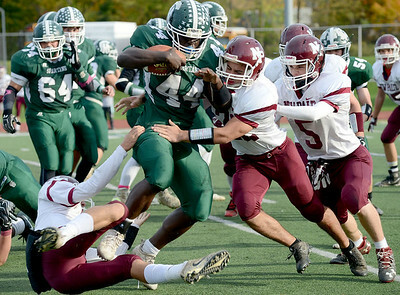 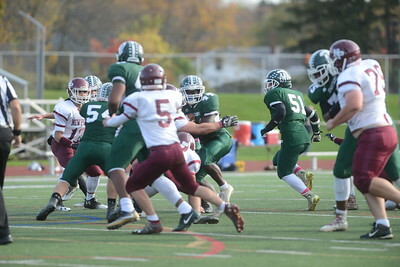 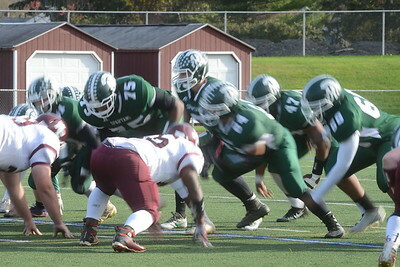 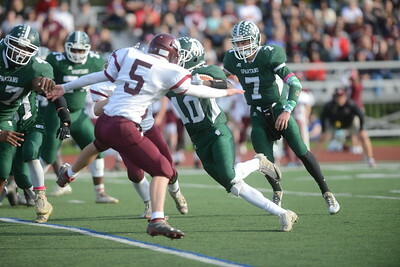 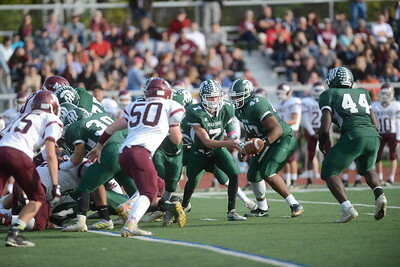 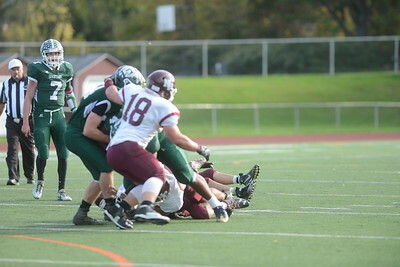 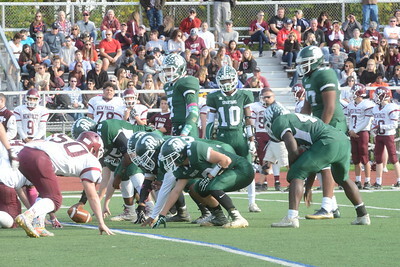 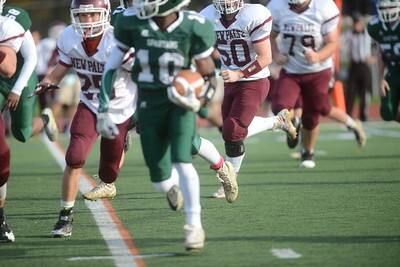 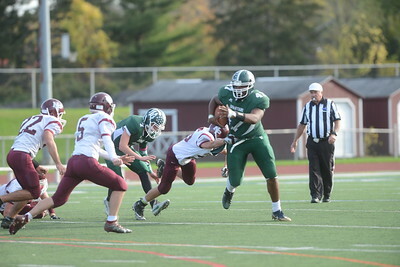 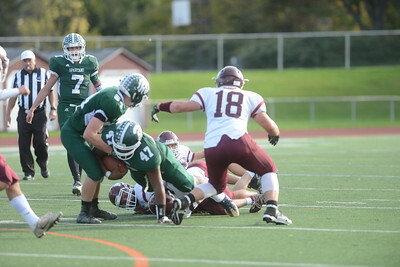 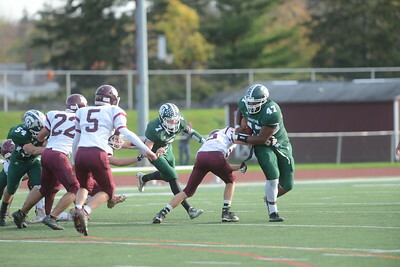 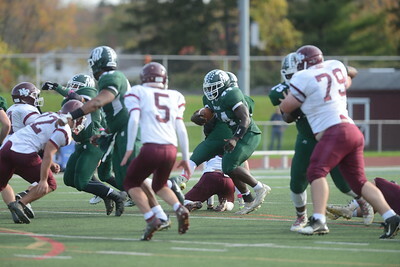 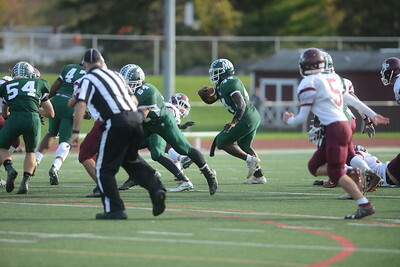 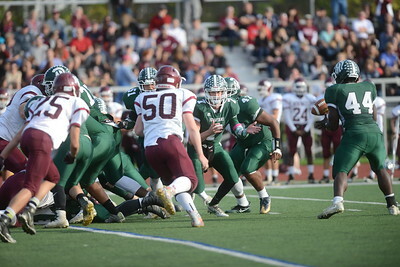 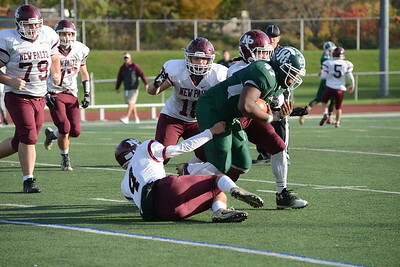 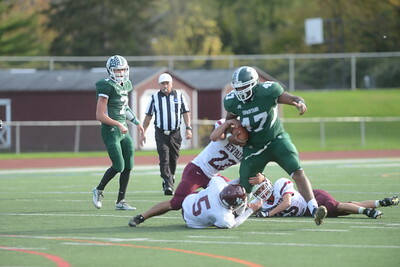 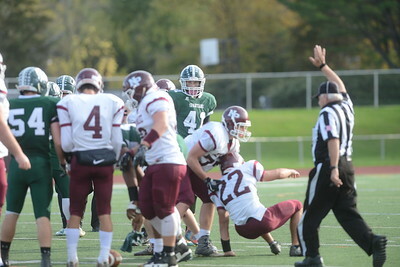 New Paltz's Mike Pisciotta tackles Spackenkill's Dhyquem Lewinson. 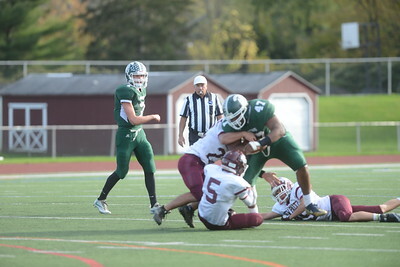 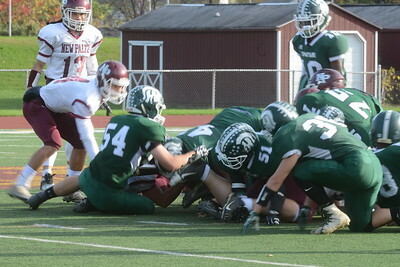 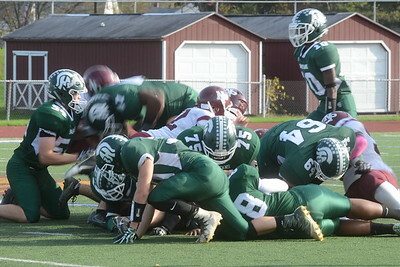 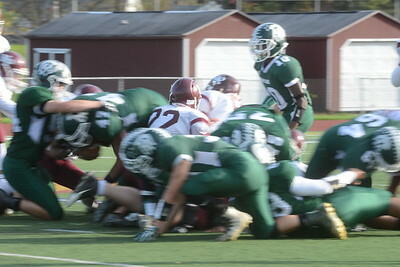 Tania Barricklo-Daily Freeman Ne Paltz's Mike Pisciotta tackles tackles Spackenkill's Dhyquem Lewinson. 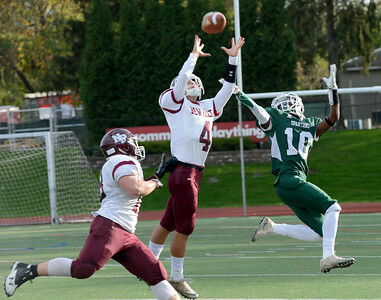 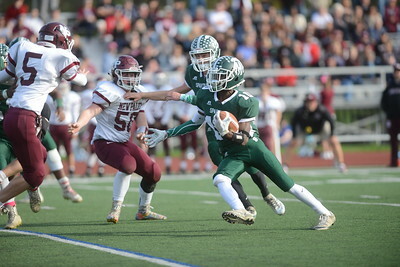 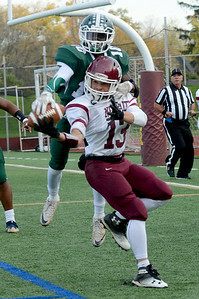 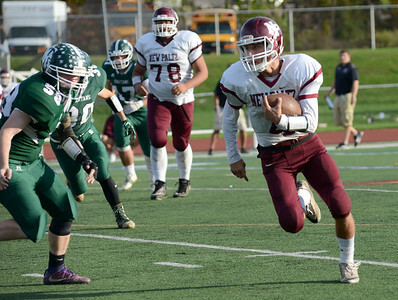 Tania Barricklo-Daily Freeman New Paltz's Jimy Verney leaps up for a successful interception during Section 9 Class B Semi Finals against Spackenkill..